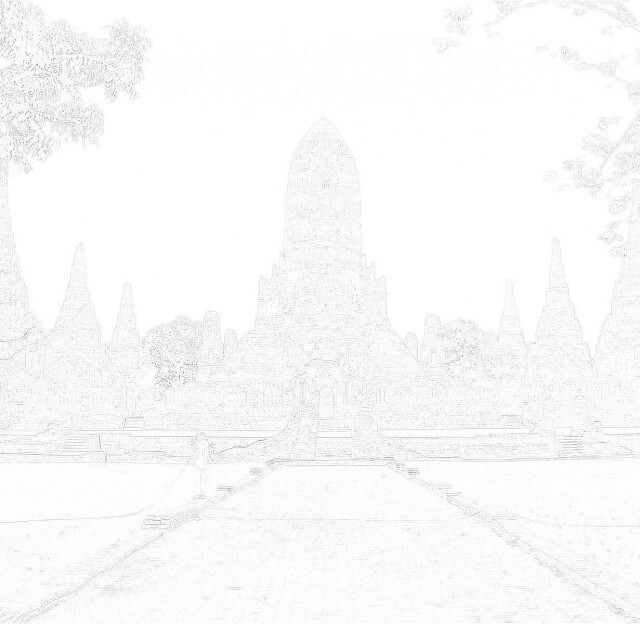 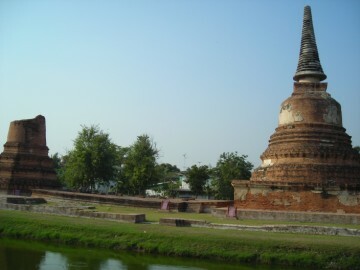 Early Ayutthaya period. 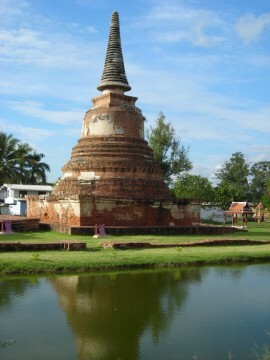 A second bell-shaped chedi rests at the back of the sermon hall. 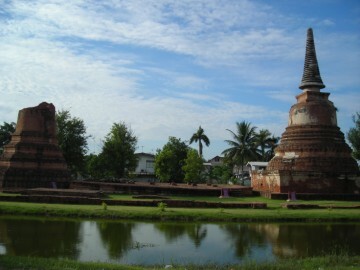 constructed at Wat Phra Meru and Wat Hatsadawat (Cushman 48-49). 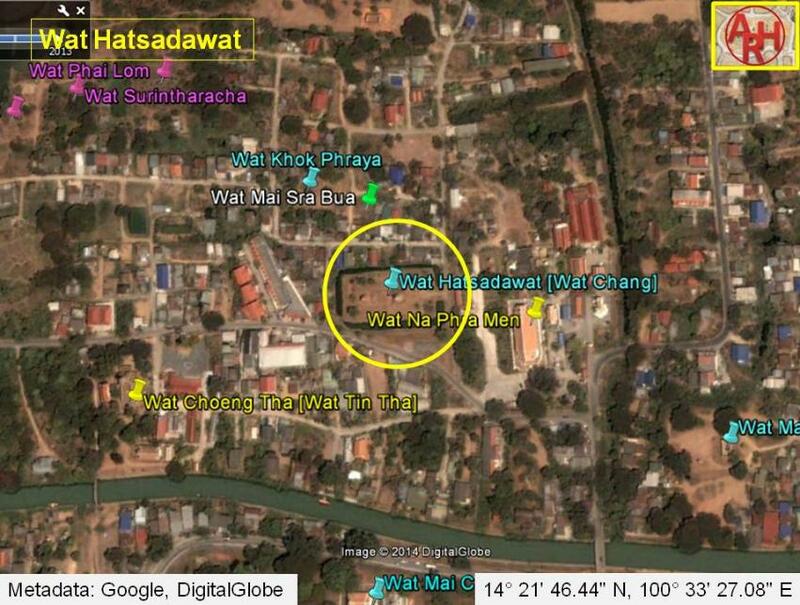 Hatsadawat because a monk at this temple was well-known for his skills with magic. 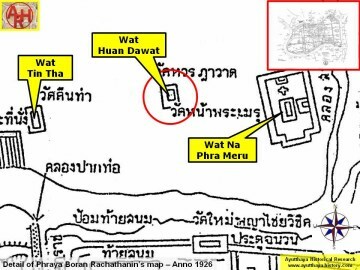 Department was placed in charge of it as a historic site. 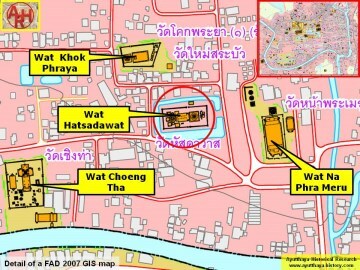 Wat Hatsadawat was also known as Wat Chang or the Monastery of the Elephant. 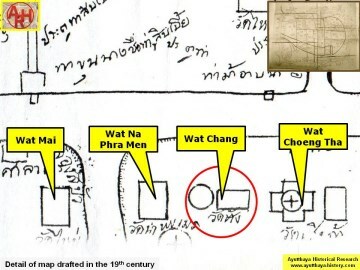 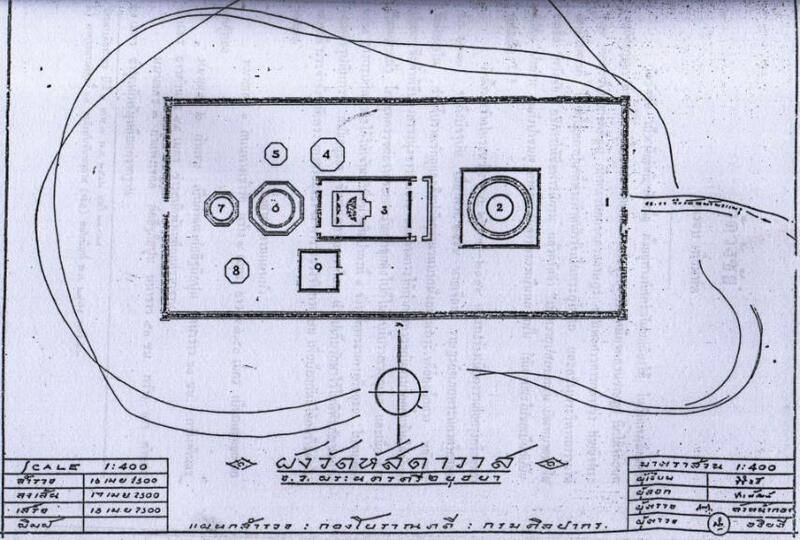 The site is situated in geographical coordinates: 14° 21' 46.44" N, 100° 33' 27.08" E.
Bangkok (2000) - page 40.